Palate: Warm and supple, fruity - with plums and a touch of honey. Evolves onto woody tones, and has a decent, mid-length finish. 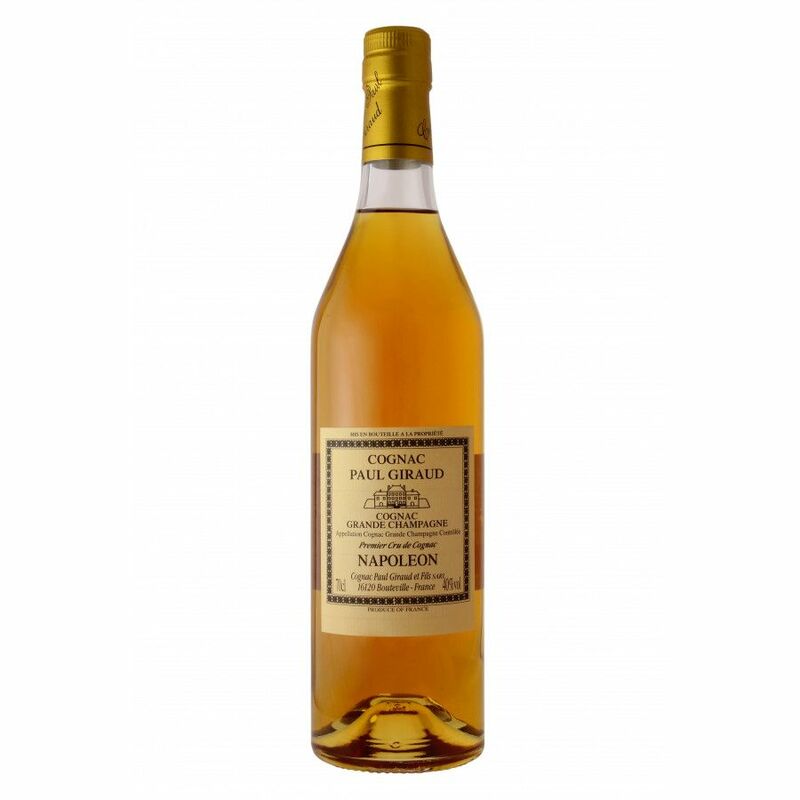 The Paul Giraud Napoleon Cognac is a Grande Champagne delight, containing eaux-de-vie aged up to 15 years. This has led to a rich, deep taste with clear woody tones. The house of Paul Giraud use no chemicals or pesticides, and don't add any kind of coloring their Cognacs. This results in a pure taste, and one that really is ultimately satisfying. It's presented in a traditional style Cognac bottle, and is of a quality that really makes it deserving of a place in any good drinks cabinet. If you're looking for an above-average Napoleon blend that will stand its own in the best of company - all at a price that won't break the bank - then you've found your answer. In a nutshell, an outstanding Cognac for the money, and one you won't be sorry you've tried. The location of Cognac Giraud is in the prime "1er Cru" cognac growing area of the Grande Champagne, which allows Giraud to produce an exquisite cognac range, from a 6-year old to a 50-year old cognac. The estate is based in Bouteville, and with some additional vineyards in St. Même-les-Carrières, the growing area comes to 35 hectares. The cognac house combines a strong belief in traditional methods with a modern take on cognac production, avoiding any kinds of chemicals or pesticides in their agriculture and coloring additives in the final blends. The work on the plants as well as the actual harvest of the grapes is still done manually, assuring the best possible treatment of the grapes in order to generate the highest quality for the eau-de-vie. Also, Giraud only produces pure vintage cognacs, which means that they never blend eaux-de-vie from different years, but trust in the fine differences between the annual vintages. Tasting notes by Jean Fillioux: Notes of almond ( marzipan) and dried fruit, walnut, date. Long finish with spicy notes coming through.